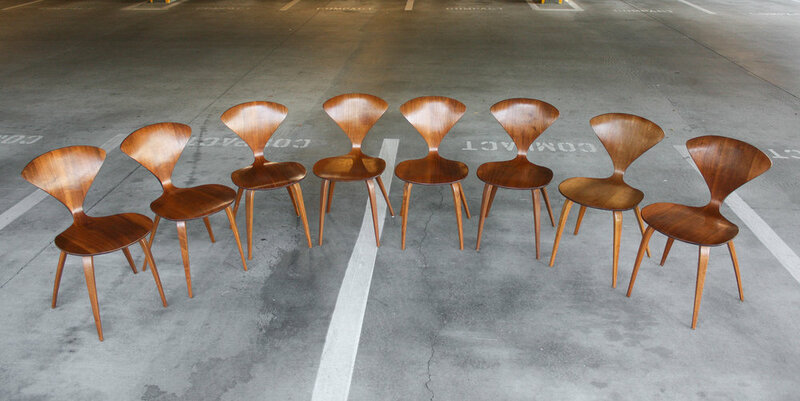 For your consideration is this gorgeous set of 8 Cherner chairs in walnut. 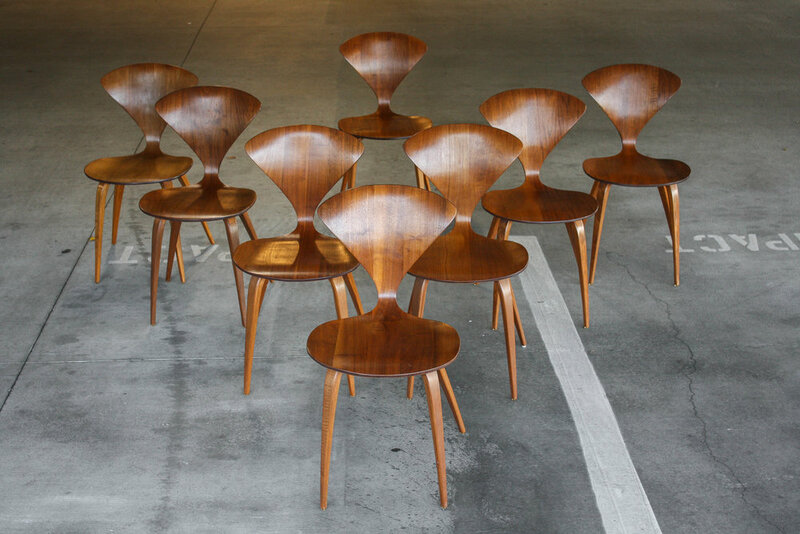 Norman Cherner was hired by Plycraft to design a chair for the company after the success of his earlier Pretzel chair. 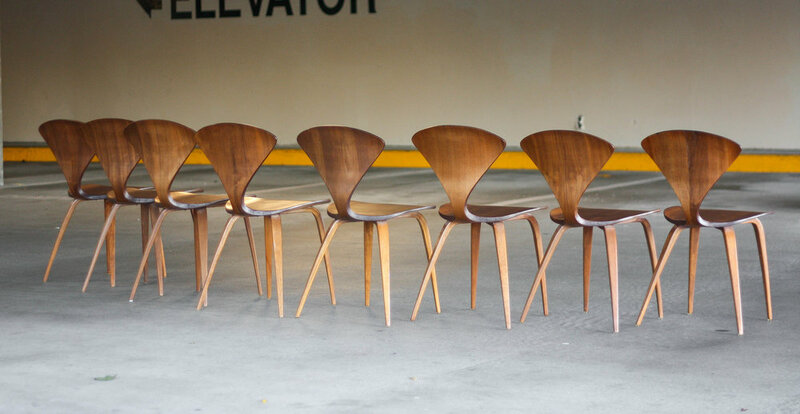 Cherner designed this iconic chair for the company and upon submitting his design, was told by Plycraft that the project was scrapped. 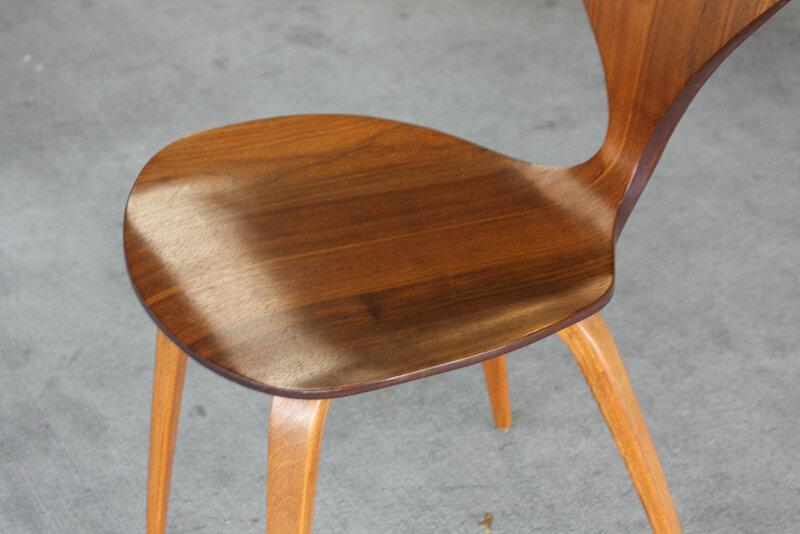 Shortly after, while in a store, Cherner saw his chair design being sold and the Plycraft label attributed the design to “Bernado". 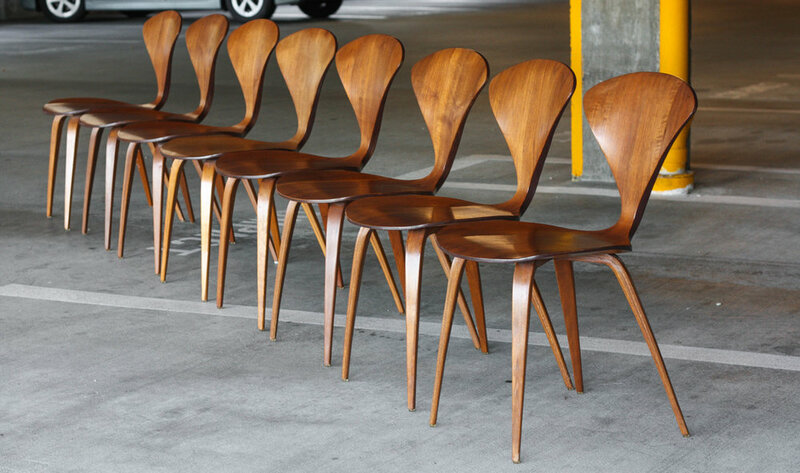 Cherner sued Plycraft in 1961 for theft of his design and won the lawsuit; The owner of Plycraft, Paul Goldman admitted that Bernardo was a fabricated name. Typically the labels on these chairs fall off over the years and it is difficult to authenticate real from replica. Most of these, however, still retain their original Plycraft label with the design attributed to “Bernado” which means these are from the first production run, prior to the lawsuit. The iconic sculptural design features elegant curves and a sleek Danish-inspired profile. The chair is exquisitely crafted from molded walnut plywood with bentwood legs and original clear rubber feet to protect floors. Very good vintage condition with wear consistent with age and use. Imperfections to some chairs can be seen in the close ups of the photos, however, you would likely not notice these in a normal viewing context. Seat: W 17" x D 17"
Overall: W 17 3/4" x D 22"